When I was growing up on a farm in Indiana, my most important dinner table goal was avoiding beets and brussels sprouts. Who could have known that I would grow up to love them with such a passion? 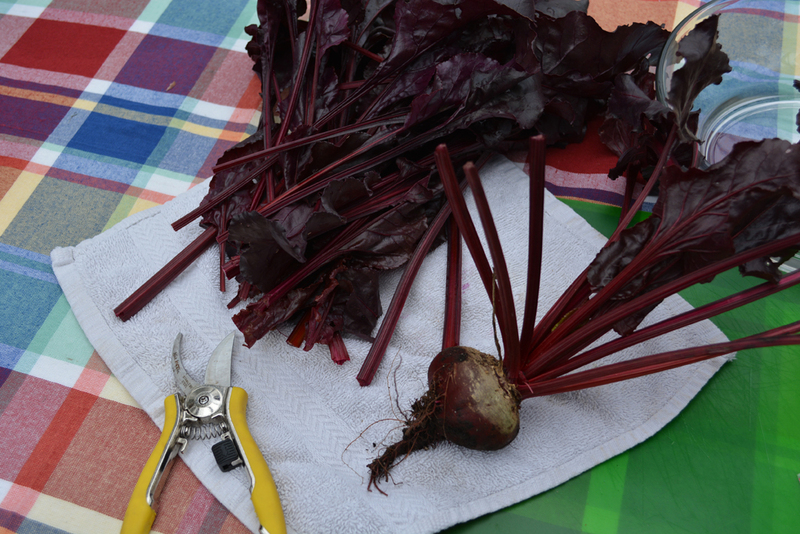 Beets make one of the most fantastic ornamental edibles to mix in with flower containers and work well in a cool season garden or for successive planting. Generally grown for their root, the beet green is my favorite part – it’s ornamental above ground and can be harvested for a delicious salad several times throughout the season.